In just two months late last year, 511 consultations were conducted on plots via the Orri App, a mobile application that identifies authorised holdings of the Orri, a protected mandarin variety. Of these consultations, 113 corresponded to allegedly illegal plots which are now being checked by auditors from the Orri Mandarin Producers Association, the Orri Running Committee (ORC), according to a media release. In the release, the Association of Orri variety producers (ORC) expressed its satisfaction with the reception of the new application among its members and the high usage it has already attracted. The Orri App uses a GPS signal to identify Orri plots that have been sublicensed for production. It is thus a useful tool that helps ORC partners identify potentially irregular plots, in other words those that do not have necessary licence and are therefore infringing on their rights. Most of the plots detected via the app – 93 % – are in the the Valencian Community. (The Valencian provinces of Valencia, Castellón and Alicante account for 53 %, 37 % and 3 % respectively of the total.) However, there were also some detections in Murcia (2 %), Andalusia (3 %) and Tarragona (2%). The ORC is promoting the use of the application in Murcia and Andalucía through telephone information campaigns as well as reinforcing the in-the-field detection of potentially irregular holdings of the Orri variety in these areas. The press release says that new cases are underway as a result of information obtained via the app. This legal action requires the cessation of the activity, destruction of the material, compensation according to the nature and characteristics of any operation that doesn’t have the required authorisation or a license from TEO (The Enforcement Organization, S.L. ), publication of a press release about the seizure, as well as the adoption of measures designed to prevent further infringement. The ORC said it considered that the period for voluntary compliance under the licensing system for this variety, which ended in April 2016, was ample and widely diffused in the media, thus there is no longer the possibility of legalising non-compliant plantations. 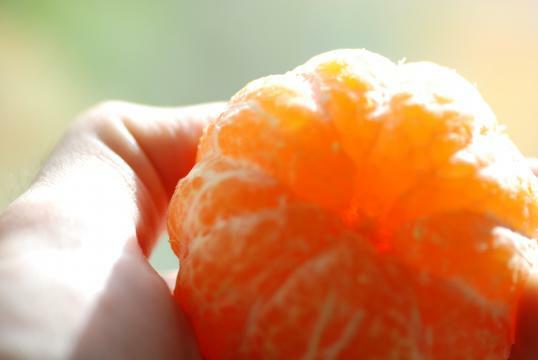 It said the Orri Mandarin Producers Association, spanning more than 400 Orri growers, will continue to monitor, promote and finance litigation to protect the Orri variety and to ensure it remains one of the mostly sought-after mandarins on the market, while also increasing appreciation of its delicious taste.